There’s a budding trend towards coastal landscaping that enhances the environment. Home gardeners and landscape professionals are choosing to nurture native vegetation, soils and waters. Landscaping and development that support a site’s distinctive characteristics can contribute to both environmental sustainability and community resilience. The Coastal Landscapes Initiative, or CLI, is a new collaborative effort to address landscaping at every stage of the process, from planning and design to installation and management. The ultimate goal is to foster coastal landscapes that are beautiful, functional, cost-efficient and environmentally friendly. Partners draw on their expertise and connections across myriad disciplines, including horticulture science and business, ecology and wildlife, landscape architecture, design and contracting, economics and education. This public-private partnership began in earnest in December 2017. The team’s initial focus is to raise awareness and increase the availability of highly beneficial plants; identify and recognize the exemplary coastal landscapes that already exist; and increase access to relevant, reliable information. To learn more about the CLI, check out this article from the Winter 2018 issue of Coastwatch magazine. For general questions, or to find out how to join these efforts, please contact Gloria Putnam at gfputnam@ncsu.edu or 919-513-0117. 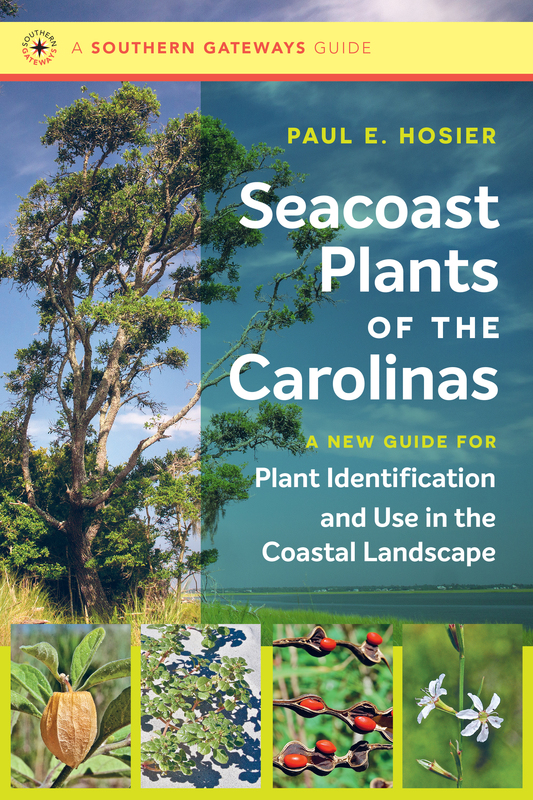 Paul E. Hosier has updated a 1970s guide to coastal Carolinas plants. This new edition is published by UNC Press in partnership with North Carolina Sea Grant. Pick up a copy here. Secret Gardener of Wilmington, N.C.